Samsung has released a new commercial, featuring the Galaxy S7, to showcase that its long-lasting battery makes it easy to keep yourself entertained whether you’re waiting for a bus or crawling through air ducts. 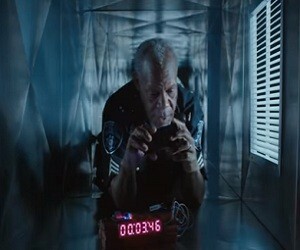 The 30-second spot, titled “Timer”, shows a police officer in an air duct, near a clock-bomb, who spends hours navigating on the Internet on his Galaxy S7 and talking with his friends, until the very last second, when he remembers to deactivate the bomb. “Oh, my Gosh, wow, that was close”, he says at the end of the “intervention”. The voiceover specifies that Samsung Galaxy S7 has the “longest-lasting battery ever”.